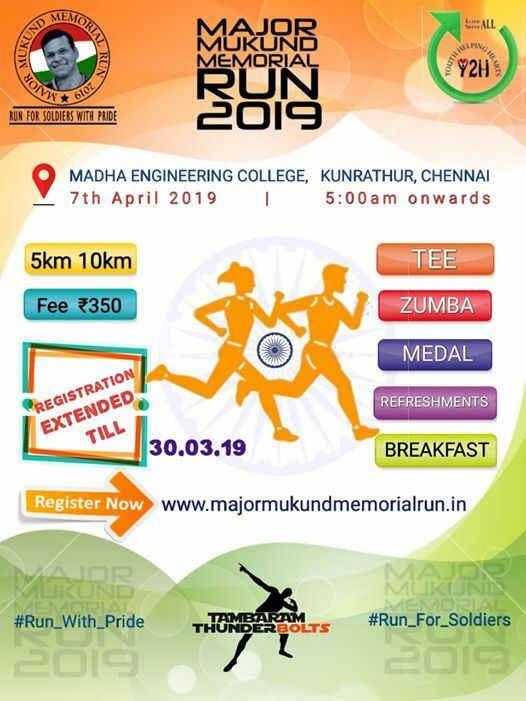 Youngsters of Tambaram, NGO members, EX-NCC Cadets and Defense Aspirants are conducting a Marathon- “Run for Soldiers”, on the account of thanking our brave Soldiers for their immense selfless service to the society. The theme of the event is to pay respects to the soldiers and create an awareness to the youngsters and encourage them to have courageous thoughts to join the Armed Forces. 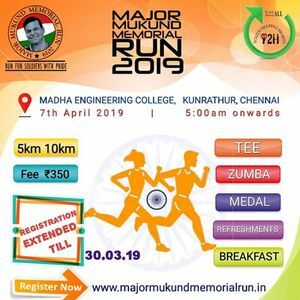 "Run for soldiers - Major Mukund Memorial Run” is an event honoring the Indian Martyrs who have laid down their lives in the service for the nation. 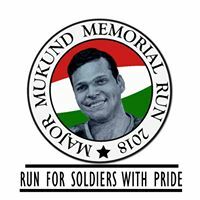 In remembrance of our great Indian soldier Major Mukund Varadarajan AC (12 April 1983 – 25 April 2014), we initiated this run to pay tributes to him. He still lives and will continue to live in our hearts forever. He will be remembered always as one brave soul who protected his country with his life -JAI HIND! Come join us all on the marathon on 15 April 2018 to pay your respects to the hidden heroes of the real world. To run a marathon requires running. Let’s put one foot in front of the other to honor Indian Soldiers. • T-shirts, finisher medal & certificate.